Narrated by veteran Hollywood actor Tom Selleck, “Remember Pearl Harbor” chronicles the personal stories of veterans and citizens who witnessed the surprise attack by the Japanese on the American Pacific Fleet on December 7, 1941, launching the United States into World War II. Produced by Tim Gray Media in cooperation with the World War II Foundation, “Remember Pearl Harbor” will be distributed nationally by American Public Television (APT), and airs on OETA Tuesday, December 6 at 10 p.m. Directed by Gray, the film features first-person accounts from more than 35 WWII veterans and Hawaiian citizens, including Lou Conter, USS Arizona; James Downing, USS Virginia; Vernon Carter, US Army Air Corps, Hickam Field; and Barbara Kotinek, who was just six years old at the time and lived within eyesight of Pearl Harbor. The documentary also includes a rare interview with Mitsuo Fuchida, the Japanese pilot who coordinated the entire aerial attack. As part of the official 75th anniversary ceremony, “Remember Pearl Harbor” is set to premiere at the invitation-only screening on Sunday, December 4 before an expected audience of more than 1,000 individuals inside World War II Hanger 79 on Ford Island, Pearl Harbor. 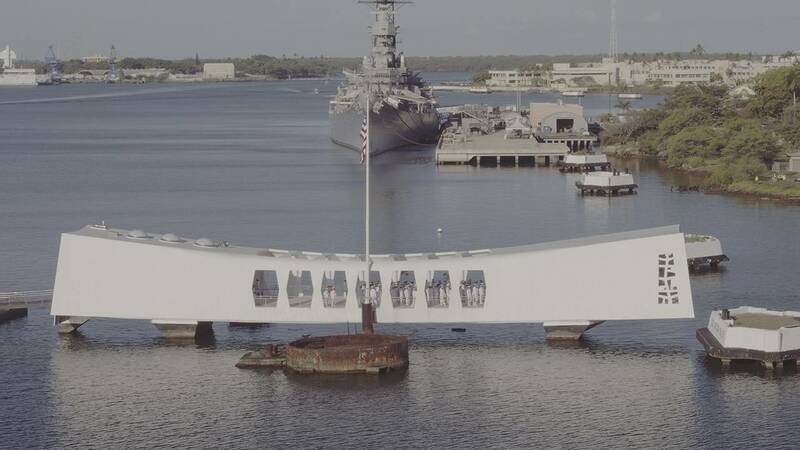 Using archival footage, photos, and graphics, the 84-minute film shows in detail the bombings on Oahu, along with the fiery explosion of the USS Arizona, the sinking of the USS Oklahoma, and the attacks on Hickam Field, as well as on other parts of the island.